In a Washington Post column by Megan Wycklendt entitled, “Six Reasons to Stop using the Word ‘busy’” she makes six key insights about busyness. 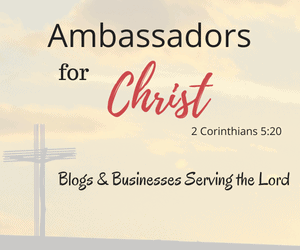 In this post, I will take those six key insights and add Biblical insights. It keeps you from being present. Not being present hits far too close to home. I recall when I was young having the mindset; work hard while you can and one day when you are old and gray then you will have time to look back over all your accomplishments and stop and soak in those memories of the past. The issue with that line of thinking is because I was so busy striving to achieve things, I rarely paused to enjoy the here and now. There are no memories to reflect and relish. When we spend so much time being busy we are deprived of the capacity to live in the present moment. It disconnects you from other people. Approximately only 25% of those who attend church are involved in any ministry/volunteer service in their church. The Bureau of Labor Statistics reports that 60% of marriages are dual-career. “Lack of time” is cited in one study as the biggest challenge to their marriages. How do you schedule compassion into your daily program? You don’t, what you do is make sure your life is not so regimented that you can’t take the time to be a mercy-giver. Jesus always had time to stop and minister to people. Whether it was the man born blind in John 9 or the woman with twelve years of bleeding or the ten lepers on the road, Jesus carved out time in His schedule to connect with people. And no matter how busy our lives are, our mission is not any greater than Jesus’ task to redeem humanity. Your hurried life is a choice. No one is forcing you to run around like a chicken with its head disconnected. You are making those decisions. And in most cases, we are putting those crazy schedules on our poor children. “Sally has to be in sports and dance and music class, while also being a leader in several outside organizations.” All because this will look good on her college applications. Meanwhile, Sally has no relationship with you or the rest of the family because Sally is never around. Your busyness is a self-inflicted wound. Stop and think for a minute, “why are you really so busy?” What are you trying to hide or run away from? Some deep-seated pain, or another failed relationship, are you trying to avoid worry?” Our busyness is masking something much deeper. Slow down and examine what hurt, or loss, or insecurity you just don’t want to take the time to deal with right now. My grandmother loved the quote from the Psalmists, “Be still and know that I am God.” My response was “not now grandma I have too much to do.” I figure if God wants to talk to me He needs to fit into my schedule. “God, I think I have two minutes between appointments, will that work for you?” But the issue is I am not sure I want to hear what God has to say. If I stay busy I don’t have to address the things He wants to reveal. I don’t have to make the necessary changes God will suggest or demand. However, God has His way of getting your attention. He can slow you down. What are you hiding? Busy is not a feeling. It is more than just a perception that busyness is a behavioral flaw. It is an action that needs to be reigned it and monitored. It can easily be re-framed. To summarize it, Luke says get your priorities straight. Put God first and everything else falls into place. If you place yourself first you run the risk of life getting quickly out of control. The most important thing we need in this life is not the stuff we are so busy trying to acquire, but the free gift of faith that is so freely given. Faith is the only treasure we need for the transition from death to life. So, get your priorities in order and everything will make life less hurried. Yes! Putting God first is vital. If we’re too busy for the Lord, then our priorities are inverted. I can ALWAYS make time for the One that gave me time. It’s the first thing and the last thing in my day! Thank you Pastor Keith. I find this very applicable right now. They were words I needed to hear. You are more than welcome. Since they are words I needed to hear I felt I was most likely not alone. Have a blessed day. Good words indeed. Be blessed!